New open-learning-landscapes for the 7th and 8th grade pupils should be developed at the Ellen-Key School in Berlin. The first stage sees the introduction of new locations with special qualities within the corridor spaces as well as one classroom. The hallway space can be used by small groups or individuals as a learning-location during the pauses or also during lesson-periods. Through workshops which augment the regular art-lessons, atmospheric qualities and their associated activities are developed for the desired locations, and models built. 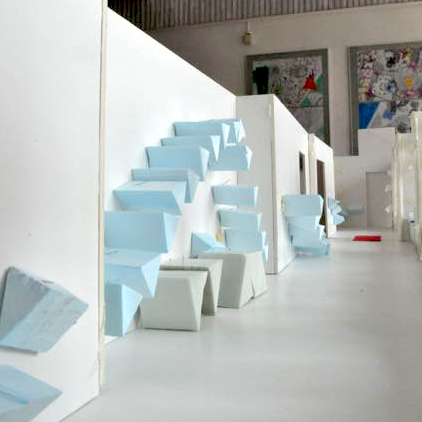 The pupils test and discuss their ideas in scale models of the corridor, which will later be presented in an exhibition. The implementation should be carried out primarily by the school’s own workshop.